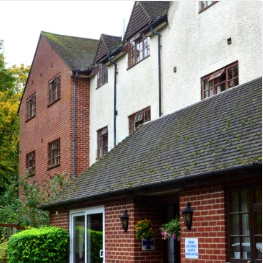 ABLEGRANGE (LINCOLN) LTD WAS LEGALLY SEPARATED FROM THE ABLEGRANGE GROUP IN OCTOBER 2013 AND AS SUCH ANY & ALL COMMENTS RELATING TO "THE LIMES" CARE HOME ARE INAPPLICABLE TO ABLEGRANGE GROUP AND ITS SUBSIDIARIES. We pride ourselves on our managers who are personally responsible for the care provided to each individual who is in our care. All our homes have beautiful gardens, with fruit trees, flowering plants, shrubs and trees with facilities for outdoor seating so our residents can benefit directly from the healing qualities provided by Nature. care for frail elderly people." 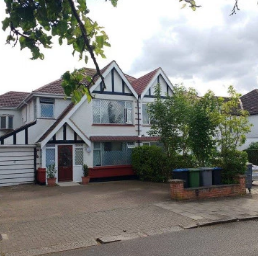 "A personal care service that provides personalised support for people in their own homes in beautifully converted metropolitan homes in vibrant Wembley next to the beautiful Edward VII park." 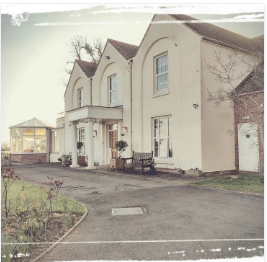 "Set in six acres of mature grounds that includes a delightful walled garden. 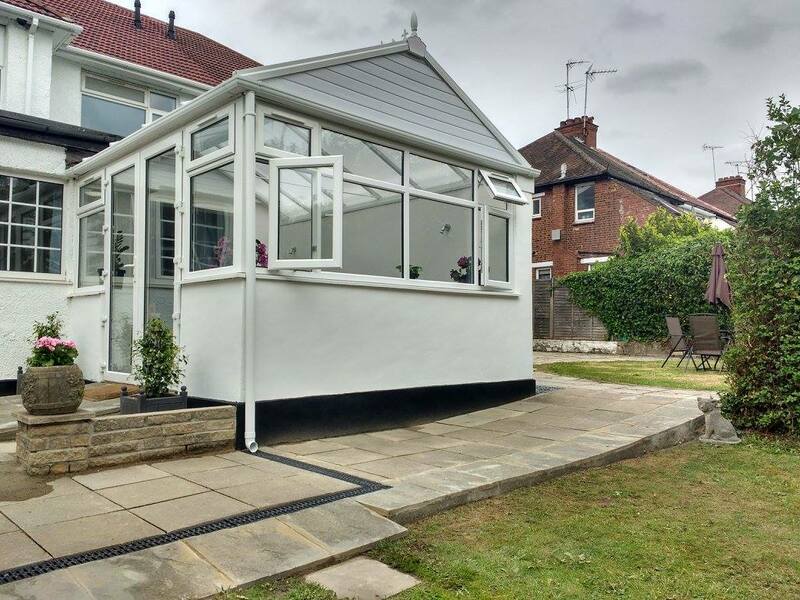 This tranquil setting next to the Old Hills Common enjoys panoramic views over the River Severn." Severn Heights is a former country house, set in six acres of mature grounds that includes a delightful walled garden. 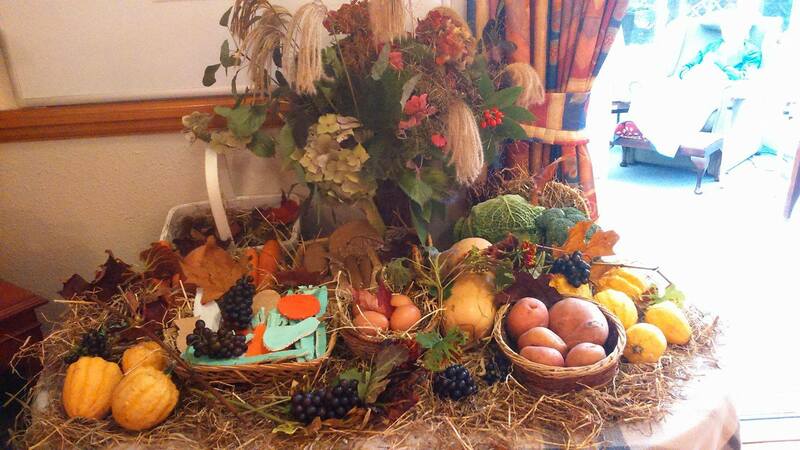 Green Gables nursing home is a recently refurbished home providing nursing and Respite care for frail elderly people. Ablegrange Supported Living is a personal care service that provides personalised support for people in their own homes. make my mum’s birthday celebration so special. food - a day to remember!" 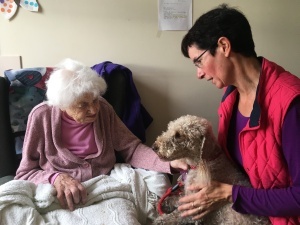 Rosie the therapy dog bounces into Severn Heights nursing home in Callow End each week with her helper Antonia to provide comfort and companionship to all that live there. Pets as Therapy (PAT) is a national charity which aims to enhance the health and wellbeing in the community through the visits of trusted volunteers with their behaviourally assessed pets. Susan Jones, Nursing Home Manager, commented: “Our residents faces light up each time that Rosie comes through the door and they always express how grateful they are to Antonia when she comes in. Thank you for writing to us! We shall get back to you soon.